As President and CEO, Matt oversees all aspects of the Bullen Insurance Group's strategic development, management, and operations. Matt joined Bullen in 2006, and became CEO in January of 2007. Prior to joining Bullen, Matt was a Vice President at Global Crossing Telecommunications, Inc and worked to bring early trading technology to the financial markets. While at Global Crossing, Matt lead one of the largest global technology outsourcing projects of its time, valued at over $500 million. He later joined SWIFT, the bank-owned cooperative headquartered in Brussels, BE. As a Director at SWIFT, Matt helped to develop and establish SWIFT’s business of secure messaging solutions for global securities and capital markets. Matt holds a B.S. in Physical Chemistry from St. Lawrence University, class of 1993. Shane Hudepohl has been with the Bullen Insurance Group since 2009, the majority of which he has been managing the Florida operations.Â Prior to coming to Bullen, Shane co-founded a successful production company in New York City.Â He is soon to complete his CIC designation through the National Alliance for Insurance Education & Research. Marie manages the Personal Lines Department for our New York offices. Marie has been in the P&C Brokerage industry since 1991, customizing and servicing personal insurance programs for the High-Net-Worth insured. Marie managed an extensive book of High-Net-Worth clients and supervised a team of account executives at BWD and Hiram Cohen & Son before joining Bullen in 2008. She is an active member of her community and serves as a volunteer for several charitable organizations. O'D is a sales associate out of our New York offices. O'D has developed his expertise in the high-net-worth Property, Casualty, and Liability arena as well as Equine, Media and Group Liability. O'D graduated from University of Maryland at College Park. Prior to joining Bullen Insurance Group, he developed event spaces in New York City with another family-run company. In 1996, Alicia obtained her New York State Insurance License and worked with Bullen for a time. Alicia then moved into the fashion industry. She was co-owner and President of Jane Fox Handbags as well as CEO of The Pink Bee, Inc. In 2012 she returned to her roots of insurance. Originally from Locust Valley and Hobe Sound, Alicia now resides in Bedford, New York. John joined Bullen in 2007 as Senior VP and COO when he retired from Aon after 14 years. At Aon, he was a producer in the construction division with a book of business that consisted of many of Aon's highest producing clients. John's insurance experience grew out of a commercial construction background, starting with numerous projects at the 1963-64 Worlds Fair, which led to the partnership of Frendolph Construction Corporation. Frendolph became a major East coast Design-Build contractor doing projects for clients such as Grumman, Fairchild Republic, and Analog Devices. John retired from Frendolph in 1990 and started the French Group of Florida, with his two sons. They built high-end residential homes in Palm Beach, Old Marsh Club in Palm Beach Gardens, Jupiter Hills Club in Jupiter, and did most of the building including the CLub House and the homes at the Cobblestone Country CLub in Palm City, Florida. At Bullen, John continues to produce new business and to watch over the clients he has had for many years. Tim's areas of expertise are high-net-worth personal lines clients, non-profit organizations, historic properties, and commercial property managers. 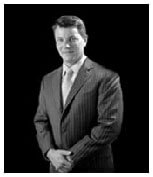 Tim is based out of Bullen's Locust Valley office where he focuses on addressing the unique needs of high-net-worth clients as well as specializing in creating highly-tailored programs for his commercial clients. Prior to joining Bullen, Tim founded and operated an insurance brokerage out of New York City called Matinecock Partners. Before that, Tim was a Senior Underwriter at Arch Insurance where he specialized in D&O Insurance for Private Equity & Venture Capital Funds. He arrived there from The Hartford where he was an underwriter focused on the same D&O niche. He is a graduate of Dickinson College, where he earned a degree in Political Science. Tim was awarded as a Top Advocate for Historic Preservation and Education in 2012 by the Oyster Bay Historical Society, is on the board of the Oyster Bay Main Street Association, and is a founding member of the North Shore Land Alliance Heritage Committee. Originally from Chicago, Fielding now resides in Palm Beach where he manages the insurance portfolios of affluent individuals, high-net-worth families and their thriving businesses. He specializes in the areas of Jupiter Island, Palm Beach and Delray. After attending Avon Old Farm Prep School in CT, Fielding graduated with a BA from Hobart College. Fielding is a licensed Florida State Insurance Broker. Jonathan joined Bullen Insurance Group in late 2012 and has been specializing primarily on the unique needs of individuals and entities of family run businesses and family offices. Johnathan's early professional career was rooted in financial services for business and personal banking with The Bank of New York, Citibank, HSBC and Commerce Bank. Jonathan moved to the Main Line of PA in 2005 where he continued to work at Commerce Bank in charge of regional retail branches. Most recently before joining Bullen, Jonathan was CFO of Big Production, a specialty mercantile company for the cosmetic industry.